It’s an all too common tale for many construction companies doing business in New York state. A unionized worker shows up on one of their job sites. Although the worker has been in the trade for decades, it’s the first time that the company has employed them. The worker is only on the job for a short time frame and subsequently retires. The worker, who began developing occupational hearing loss secondary to exposure to industrial noise decades ago, files a claim for workers’ compensation and submits a supporting medical report entitling them to a six figure schedule loss of use (SLU) award. Under the current state of the law, the company that last employed the claimant in the industry is liable for all of the claimant’s benefits up front regardless of the short duration of employment. Complying with OSHA guidelines may provide employers with a basis for avoiding liability in these scenarios. According to Workers’ Compensation Law (WCL) 49-bb, the date of disablement in a hearing loss case is the last day of the three-month waiting period after the claimant has been removed from exposure to “harmful noise” in employment or after the claimant’s date of separation from the work causing the exposure. Such separation only requires separation from the noisy environment such as with use of “effective” ear protection devices. The issue that has been vexing employers is what the legislature meant when it wrote “effective” ear protection devices and “harmful noise.” Neither the Board nor the courts have provided much guidance. However, OSHA guidelines, specifically 29 CFR § 1926.52(a-e), provide that workers may be exposed to ninety decibels of industrial noise for eight hours per day before he or she must be provided with protection or removed. With this in mind if an employer takes measures to ensure that their workers remain within the ninety decibel green zone, then it creates a factual basis to assert that the injured worker was not subjected to “harmful noise” as contemplated by the New York hearing loss statute. This can be accomplished through routine safety checks and through supplying workers with cost effective hearing protection. Decibel levels should be measured by hand held noise dosimeters that are regularly calibrated for accuracy. 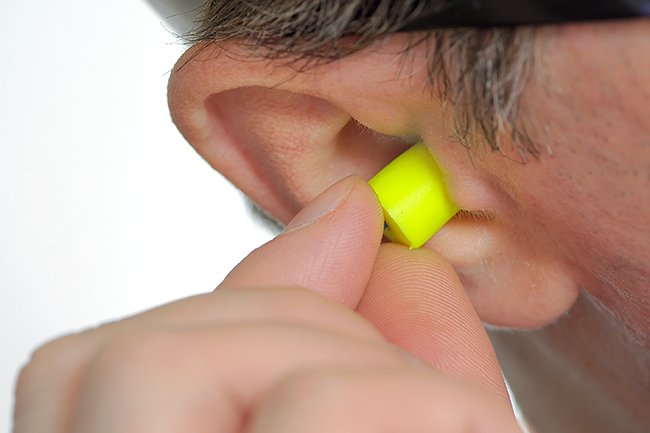 Depending upon how loud the job site is, the employer can then determine the type of hearing protection that is necessary based upon the equipment’s noise reduction rating (NRR). Taking these simple measures will at least give employers a fighting chance of securing removal and discharge from the worker’s hearing loss claims resulting in the previous employer having to defend the claim on the merits. Hearing loss claims can have harsh results for employers in New York. Employers are well advised to contact counsel to discuss prophylactic measures that they can take to protect themselves from liability.